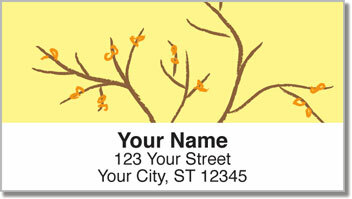 The beauty of simplicity is artistically displayed through the illustrations of tree branches on these return address labels. 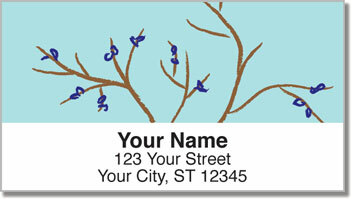 Tree Branch Address Labels from CheckAdvantage will add the perfect amount of color and personality to your letters and packages without going overboard. The effortless elegance of this design evokes a peaceful serenity that reflects your quiet yet confident character. Use these convenient labels to cut down on the time it takes to prepare your outgoing mail. Thanks to a convenient self-adhesive backing, all you have to do is peel and stick them in place! Get your very own Tree Branch Address Labels today! This charming selection is also available to order in a matching personal check design.